"All Is Lost": a tale about an ignorant man going through the same repetitive shenanigans over, and over, and over, and over again until they start to become similar to a slapstick comedy. "Cast Away": a true story of one man's survival over a course of several years. 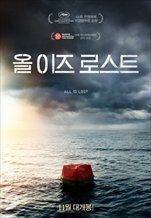 The problem with "All Is Lost" is that I wasn't able to sympathize with Redford because there was no development to his character so the film didn't feel all that moving to me. I can say the opposite for "Cast Away", however, as I felt that that film was much, much more moving and memorable. "Cast Away" easily beats "All Is Lost". Yeah, I loved All is Lost, but Cast Away is a much better film in the sub-genre.